It’s been 7 months since we’ve started the garden. My blog post then showed off our 5 new native plants. Since then, we have planted a few more plants, put potted plants in the ground, expanded our garden beds and those natives we planted in the beginning have really grown! 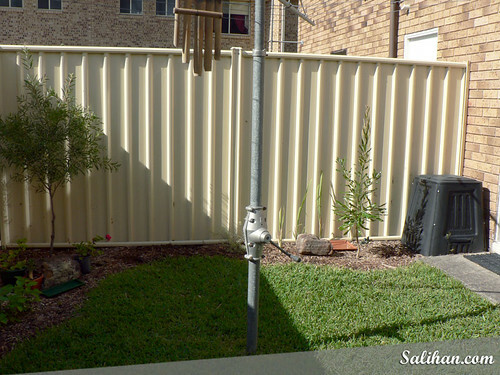 I took a series of photos that showed the garden from the left to the right fence. 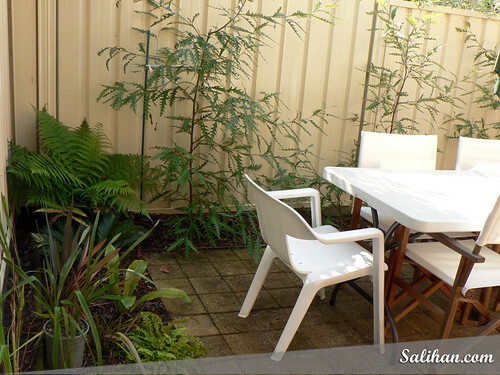 The left side of the garden is the entertaining area. 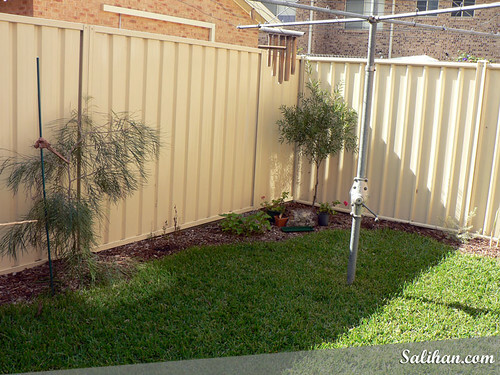 It is also Richard’s favourite part of the garden as he has created an area called “Fern Gully” along the fence. Plants there are from the pre-flowering era e.g. ferns and cycad. 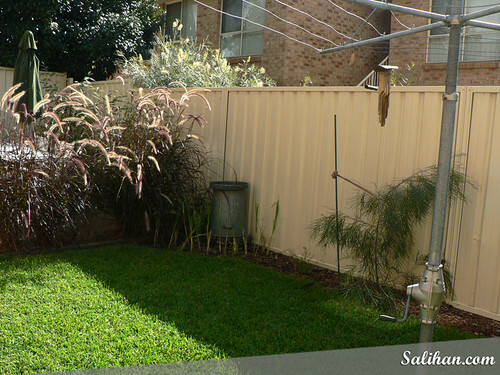 Purple fountain grass creates a hedge and encloses the entertaining area beautifully. These grasses have grown rapidly over the few short months and are now 1.5m tall! The grassed area and the garden beds around it are still a work in progress. We’ve planted lemongrass and mother-in-law’s tongues at the foot of the bird bath. I recently planted bell pepper seeds and you can see them sprouting near the rock. The native plants are also doing well and are at a decent height now. I especially love the trees in the last photo. Can’t wait for them to grow to their full height! You make me want to migrate to Australia! You darn free. My wife jealous. Sigh. If your neighbour selling their house inform me… Haha. Set up a shop. You can set up a knitting cafe club. Knit while eating cakes. Good idea? We open a pet shop for cats. 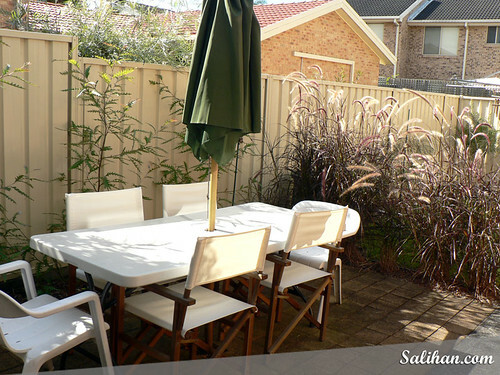 And after 6pm we can drink beer and bbq satay!!! We want to move there and retire!! !